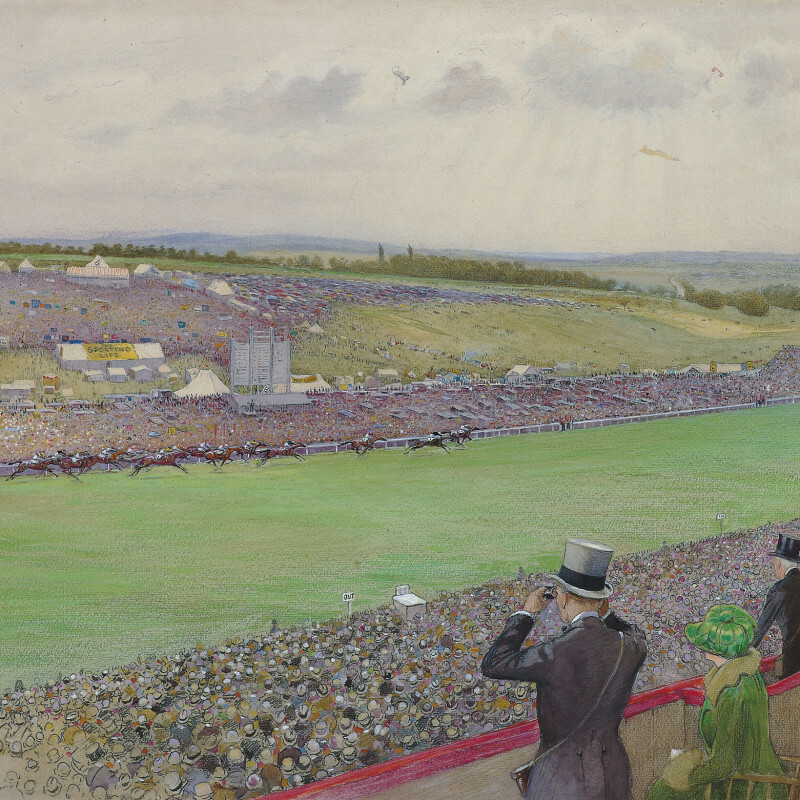 Recognised as an illustrator of books and magazines, a painter, and a writer, Cecil Aldin was a leading light in the re-emergence of Sporting art at the beginning of the twentieth century. He strived to reinvigorate the format inspired by the influences of past sporting names Henry Alken and John Leech. However his own lifelong passion for hunting would prove to be very influential on his creative ambitions. As his own participation in sport increased so did his output of sporting scenes. This is defined by his famous series 'The Hunting Countries' which he made between 1912 and the early 1920's. Not only is this significant in documenting the development of his own style but for also demonstrating his ability to portray the many different protagonists of the hunt, especially animals, in one scene. Following the death of his son at Vimy Ridge in 1916 his post-war work began to move away from his innocent and playful depictions of the past. It was during this period he made many of his finest canine and equestrian works.